And again another chapter from the upcoming VCP6.5-DCV Study guide today. The chapters are released in no particular order. The one released today is VCP6.5-DCV Objective 1.3 – Configure and Enable SSO and Identity Sources. We’re heavily using VMware vSphere 6.5 documentation and also our lab, to get all topics covered. As you know, the latest vSphere 6.5 has now its certification exam. (since April). Not many guides are online so far, so we thought that it might be (finally) perhaps, a good idea to get things up. I think the majority of new VCP candidates right now will go for the VCP6.5-DCV even if the VCP6-DCV seems less demanding. There are fewer topics to know. 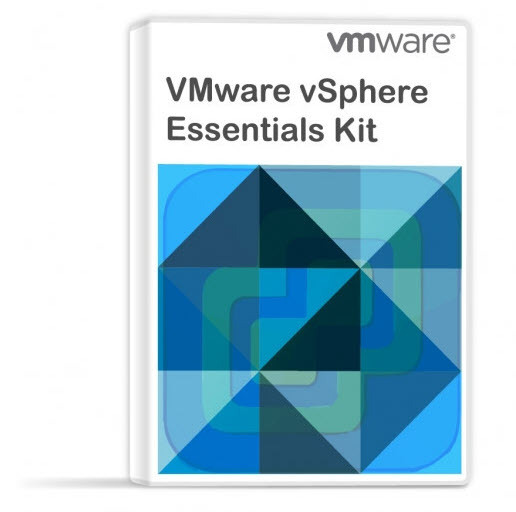 Tip: Check our How-to, tutorials, videos on a dedicated vSphere 6.5 Page. (work in progress). 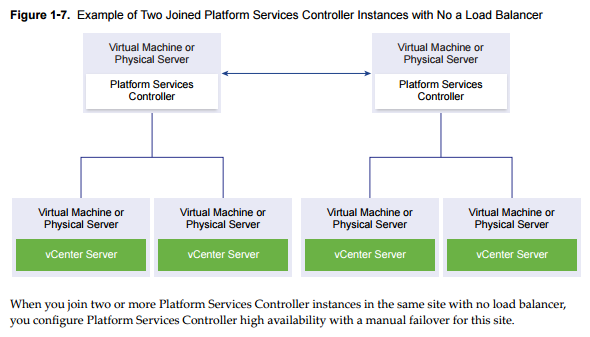 Platform Service Controler (PSC) can be installed along with vCenter (VC)or apart. ou can also deploy a Platform Services Controller as an appliance or install it on Windows. If necessary, you can use a mixed operating systems environment. If you have an only single site, VMware recommends using a single VM (VC+PSC). This is a standalone deployment type that has its own vCenter Single Sign-On domain with a single site. vCenter Server with an embedded Platform Services Controller is suitable for small environments. You cannot join other vCenter Server or Platform Services Controller instances to this vCenter Single Sign-On domain. The most simple is to deploy VMware PSC and vCenter server on a single VM, together. As such, the PSC component does not need a network connection to the vCenter server (as it communicates already, it is within the same VM). vCenter SSO is an authentication broker and security token exchange infrastructure which uses SAML tokens. When a user or a solution user can authenticate to vCenter Single Sign-On, that user receives a SAML token. 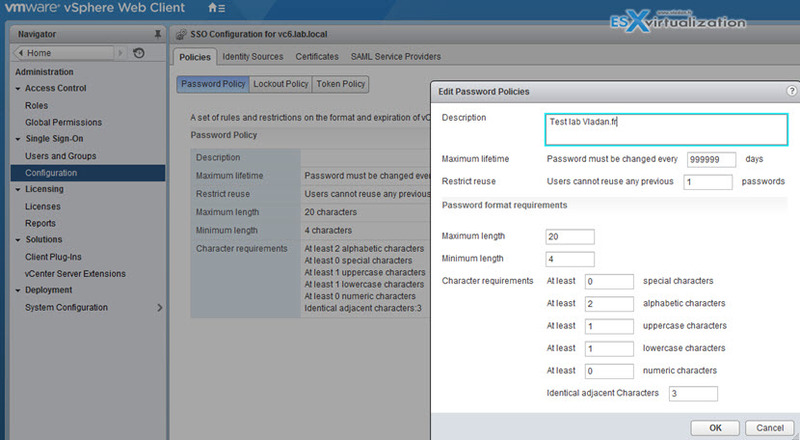 Going forward, the user can use the SAML token to authenticate to vCenter services. The user can then perform the actions that user has privileges for. All traffic is encrypted for all communications. Starting with vSphere 6.0, vCenter SSO is part of the PSC. The PSC contains the shared services that support vCenter Server and vCenter Server components. These services include vCenter Single Sign-On, VMware Certificate Authority, or License Service. For the initial handshake, users authenticate with a username and password, and solution users authenticate with a certificate. Mixed Operating system – Windows VM hosting PSC with two or more VMs running Windows-based vCenters, “hooked” into PSC. You can deploy it on at the same time or apart and you can deploy it as Windows-based or Appliance based (VCSA). It’s important to know that PSO is completely transparent working with Windows or VCSA based vCenter! The embedded PSC is meant to be used for standalone sites where a vCenter server will be the only SSO integrated solution. In this case, a replication to another PSC is not necessary. External PSC shall be deployed in environments where there is more than one SSO enabled solution (vCenter Server, vRealize Automation, etc…) OR where replication to another PSC (another site) is necessary. Here is the screenshot of the installation process (VCSA) showing the different options and changing the options also changes the different phases of the deployment (on the left). Manages and generates SSL certificates for your vSphere environment. Stores and replicates permissions via the Global Permissions layer. Manages the storage and replication of TAGS and CATEGORIES. All services bundled with the Platform Services Controller are deployed on the same virtual machine or physical server as vCenter Server. The services bundled with the Platform Services Controller and vCenter Server are deployed on different virtual machines or physical servers. When you first install vSphere, the default certificates are deployed with 10 years of life span. The VMCA generates those self-signed certs during the installation process, and provisions each of the ESXi host with a signed certificate by this root certificate authority. Earlier versions of vSphere with self-signed certificates are automatically replaced by new self-signed certificates by VMCA. Custom – you can override and do issue certs manually via VMCA. You will need to issue a cert for every component, need to be installed into VECS. Enterprise – VMCA is used as a subordinate CA and is issued subordinate CA signing certificate. It can now issue certificates that trust up to the enterprise CA’s root certificate. If you have already issued certs using VMCA Default and replace VMCA’s root cert with a CA signing cert then all certificates issued will be regenerated and pushed out to the components. Where to check the certificates in Web client? Note: If you’re not a member of “SystemConfiguration.Administrators” group than you might want to add yourself there. Logon to the web client as a member of the CAAdmins group. Minimum length – Minimum number of characters required in the password. Character requirements – Minimum number of different character types required in the password. Upgrade VCSA 5.5 or 6.0 and the PSC appliance 6.0 to version 6.5. The upgrade of the VCSA or PSC appliance is a migration of the old version to the new version (including deployment of the new appliance of version 6.5). 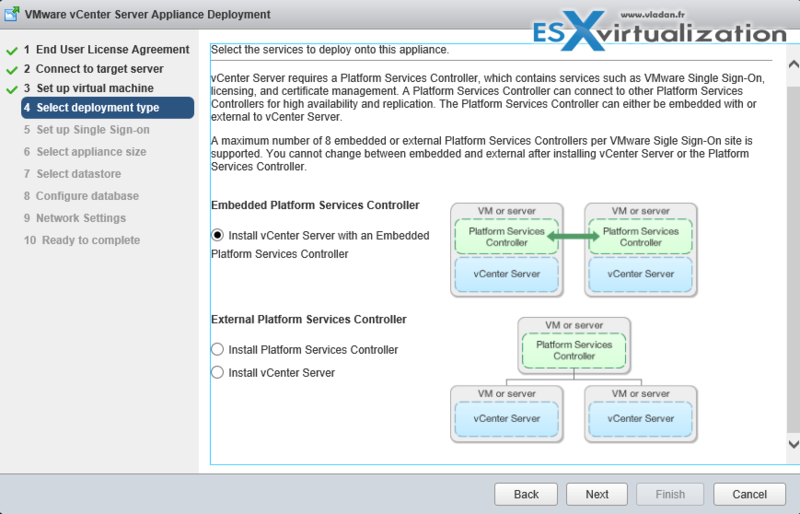 You can deploy the new appliance on an ESXi host 5.5 or later, or on the inventory of a vCenter Server instance 5.5 or later. Wizard driven. You assign a temporary IP address to the new appliance to facilitate the configuration and services data migration from the old appliance to the newly deployed appliance. After the migration, the IP address and hostname of the old appliance are applied to the new upgraded appliance of version 6.5. At the end of the upgrade, the temporary IP address is released and the old appliance is powered off. Version 6.5 of the VCSA uses the embedded PostgreSQL DB. If you are upgrading a vCenter Server Appliance that is using an external database, the external database will be migrated to the embedded PostgreSQL database of the new upgraded appliance. During the upgrade, you must select a storage size for the new appliance that is suitable for the database size. 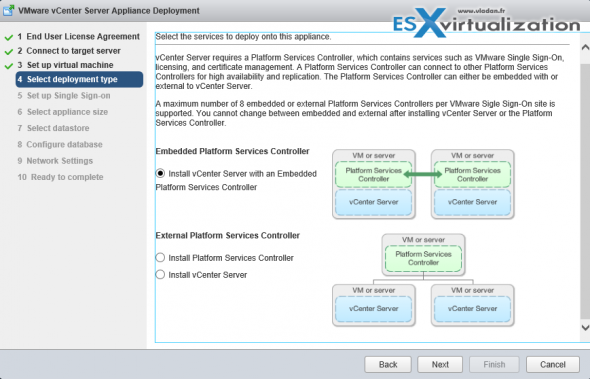 Version 6.5 of the VCSA uses the embedded VMware vSphere Update Manager Extension (VUM) service. If you are upgrading a VCSA that is using an external VUM instance, the external VUM instance will be migrated to the embedded VUM Extension of the new upgraded appliance. The embedded VUM Extension uses the embedded PostgreSQL DB. Before the upgrade, you must run the Migration Assistant on the source VMware Update Manager instance. For topologies with external PSC instances, you must upgrade the replicating PSC instances in a sequence. After the successful upgrade of all PSC instances in the domain, you can perform concurrent upgrades of multiple VCSA appliances that point to a common external PSC instance. The VCSA installer contains executable files GUI and CLI upgrades which you can use alternatively. The first stage – is a deployment wizard that deploys the OVA file of the new appliance on the target ESXi host or vCenter Server instance. The Second stage – after deployment phase you are redirected to the second stage of the process that sets up and transfers the services and configuration data from the old appliance to the newly deployed appliance. The CLI upgrade method involves running a CLI command against a JSON file that you previously prepared. The CLI installer parses the configuration parameters and their values from the JSON file and generates an OVF Tool command that automatically deploys the new appliance and transfers the services and configuration data from the old appliance. If the appliance that you are upgrading is configured in a mixed IPv4 and IPv6 environment, only the IPv4 settings are preserved. VMware SSO policies are accessible through Home > Administration > SSO > Configuration. Those SSO policies are pretty much the same as in vSphere 5.5, but with a difference that in vSphere 5.5 we also had an administrator password expiry on the vCenter server appliance (VCSA). The VCSA 6.0 is pretty much locked out and the GUI we use to manage VCSA accessible via the port 5480 is no longer available. Create the ESX Admins group in the AD domain and populate it with user accounts or groups to which administrative access to the hosts should be granted. Also, additional AD user accounts and groups can be granted with appropriate access to hosts. Go to your Domain controller and create a Global Security group called “ESX Admins” > Make a domain administrator part of this group. Log in to your vCenter with the vSphere Web Client and Select your ESXi host > Configure > System > Authentication Services > Join Domain. Use the form name.tld or name.tld/container/path. NTP is also an important configuration step. ESXi should use, when possible, an external source of time. Synchronize the time between ESXi and the directory service system using NTP. First, you must set up the key management server (KMS) cluster. You add the KMS and establish trust with the KMS. When you add a cluster, you are prompted to make it the default. You can explicitly change the default cluster. vCenter Server provisions keys from the default cluster. You add a KMS to your vCenter Server system from the vSphere Web Client or by using the public API. vCenter Server creates a KMS cluster when you add the first KMS instance. When you add the KMS, you are prompted to set this cluster as a default. You can later change the default cluster explicitly. After vCenter Server creates the first cluster, you can add KMS instances from the same vendor to the cluster.You can set up the cluster with only one KMS instance. n If your environment supports KMS solutions from different vendors, you can add multiple KMS clusters. It is not a vCenter server, which is only a client. The 3rd party Key Management Server (KMS) is the one responsible for the encryption of the key and the management. With that, you may ask who will be able to manage encryption of your VMs? Does all your vSphere admins need to have access to encryption? Possibly. But possibly NOT. VMware has created a new default role “No Cryptography Administrator“, but we won’t go into details as it is not the purpose of this lesson. Detailed steps are for setting up KMS cluster can be found on pages 137 and 152 within the latest Security Guide PDF. So this is it for today. We have covered the VCP6.5-DCV Objective 1.3 – Configure and Enable SSO and Identity Sources. 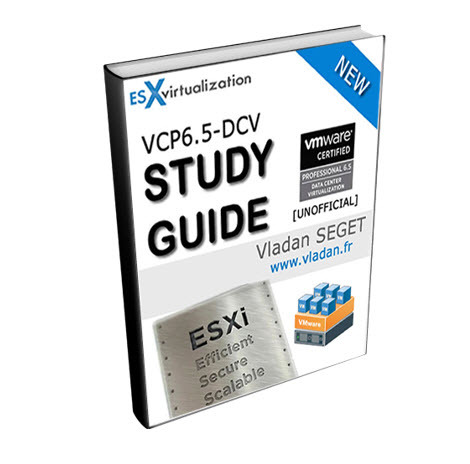 Make sure to bookmark the VCP6.5-DCV Study page.